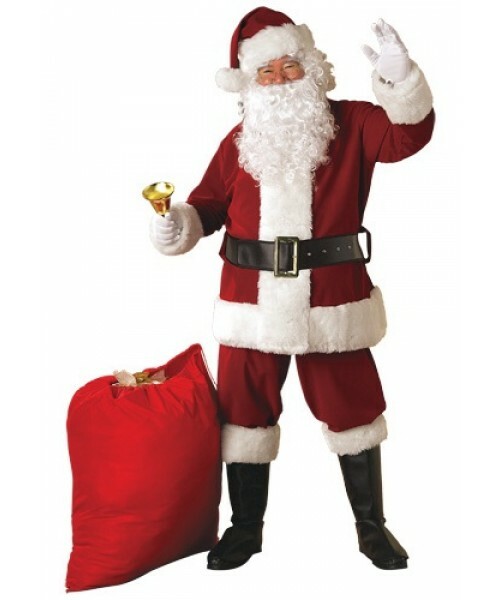 Get ready to have a happy holiday this year when you wear this Plus Size Regal Santa Suit. This is a great costume to wear to your Christmas party. The North Pole is a cold place. It's full of snow and ice and it can get as chilly as negative 45 degrees. But there is once place up there that keeps warm and that's Santa's workshop. In there the jolly old elf likes to keep it warm and toasty because he wants his elves to be happy. It's a proven fact that happy elves work faster which means the toys will be done on time. Because once December 25th rolls around it's time for the big show. St. Nick jumps in his sleigh and travels the world delivering gifts to all the good girls and boys.